WASHINGTON — A key congressional skeptic of President Donald Trump’s Space Force proposal will help lead a House subpanel overseeing the matter. 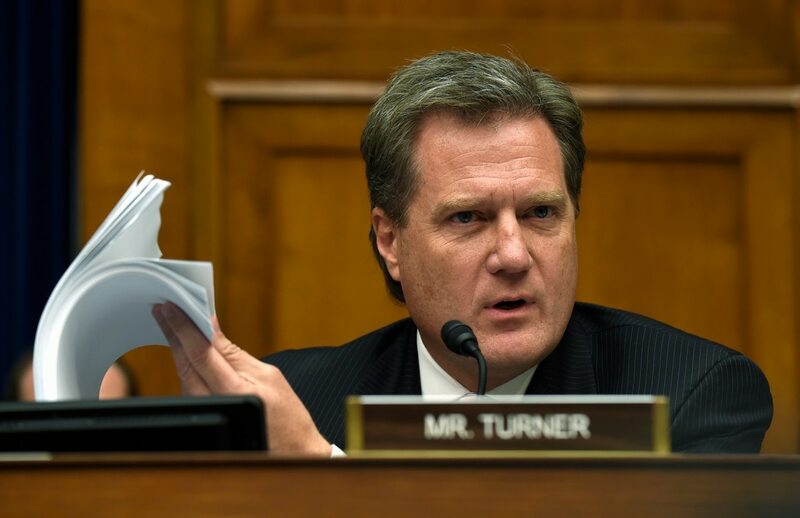 In a shakeup of the House Armed Services Committee roster announced Wednesday for the new, Democratic-led Congress, Rep. Mike Turner, R-Ohio, was named the ranking member of the House Armed Services Subcommittee on Strategic Forces. The former StratFor ranking member, Rep. Jim Cooper, D-Tenn., who is a Space Force proponent, was named chairman. Cooper has argued America needs a sixth branch of the military dedicated to protecting our space assets and developing more capable space systems, while Turner has periodically called for more study. The duo were just two from the group of new subcommittee leaders on the influential House Armed Services Committee, which in the coming weeks will begin work on the annual defense authorization bill that sets the tone for military priorities and spending. News leaked last month that after months of deliberating how to stand up a Space Force, a sixth branch of the military proposed by Trump, Pentagon leaders have decided to funnel the new organization under the Department of the Air Force. But Congress would have to assent. Beyond Space Corps, Cooper and Turner will oversee a portfolio that includes nuclear weapons, the Department of Energy’s national security programs and ballistic missile defense, just as new HASC Chairman Adam Smith, D-Wash., has decried the cost of maintaining America’s atomic arsenal and Trump’s plans to expand it. “I look forward to working with my colleagues to ensure our national security interests in space and a nuclear deterrence that protects the homeland and assures our allies,” Turner said in a statement Wednesday. The committee will have 18 new members this year, a significant turnover in who is crafting the nation's military policy. Rep. Mike Rogers, R-Ala., the former StratFor chairman, was elected ranking member of the House Committee on Homeland Security. HASC has mothballed the Oversight and Investigations Subcommittee as Smith himself is expected to lead stiffened oversight of the Trump administration, particularly the military’s far-flung engagements. There’s a new team leading the Tactical Air and Land Forces Subcommittee. Rep. Donald Norcross, D-N.J., replaces Turner as chairman. Former Oversight and Investigations Subcommittee Chair Rep. Vicky Hartzler, R-Mo., has become the ranking member of the Tactical Air and Land Forces Subcommittee, replacing Massachusetts Rep. Niki Tsongas, who is now retired. There’s also a new team leading the Readiness Subcommittee, whose broad portfolio encompasses one-third of the Pentagon’s budget, including military training, logistics and maintenance, as well as military construction and base closures. Rep. John Garamendi, D-Calif., picks up the Readiness gavel from Rep. Joe Wilson, R-S.C., while Rep. Doug Lamborn, R-Colo., takes over as ranking member, after Madeleine Bordallo, D-Guam, lost her re-election bid. Sen. Roger Wicker is relinquishing his sea power gavel in a shakeup that includes new ranking members for the nuclear weapons and cybersecurity subpanels. Smith named Rep. Anthony Brown, D-Md., his vice chair — taking over for former Rep. Beto O’Rourke of Texas, the vice ranking member. Chair: Rep. Jim Langevin, D-R.I. Ranking member: Rep. Elise Stefanik, R-N.Y. Chair: Rep. Jackie Speier, D-Calif. Ranking member: Rep. Trent Kelly, R-Miss. Chair: Rep. John Garamendi, D-Calif. Ranking member: Rep. Doug Lamborn, R-Colo. Chair: Rep. Joe Courtney, D-Conn. Ranking member: Rep. Rob Wittman, R-Va. Chair: Rep. Jim Cooper, D-Tenn.